An architect designed dwelling, less than ten years old was constructed into a bank on three sides. 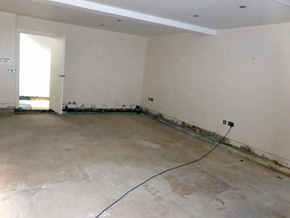 The existing basement was tanked but had failed at the wall floor junction. There was 50mm of water under the floating floors. 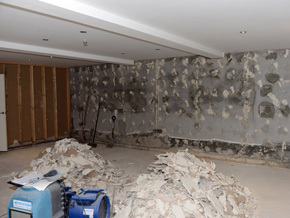 When we became involved the proposed remedial works consisted digging out externally, tanking the walls and providing drainage at the rear of the wall. The depth of excavation was in excess of 3.00m. This would still not have sealed the wall floor junction or removed the salt damaged plasters. 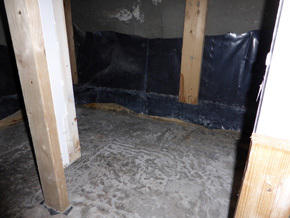 SMT Associates designed an internal structural waterproofing. 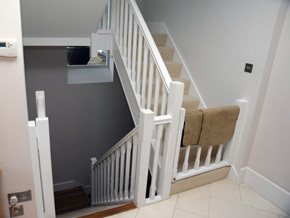 Our sister company, a manufacturer approved installer, Leonard Symons Conservation installed the system. 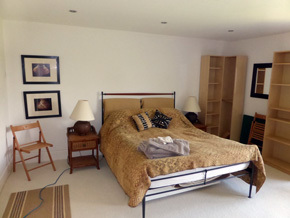 This approach resulted in a significant cot saving to the client and the walls were thermally improved by adding insulation. 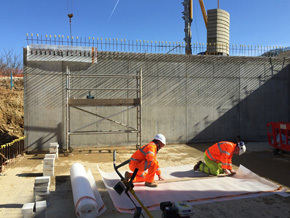 We use and install Delta Membranes. 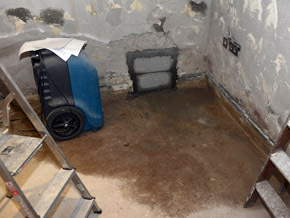 We provide Specialist Damp waterproofing Solutions for your Home, Basement, Underground Extension or Business turning unused dingy, water damaged or even flooded basements into warm, inviting, usable living space can be easily achieved with structural waterproofing materials which include drainage, sump pumps and membranes. 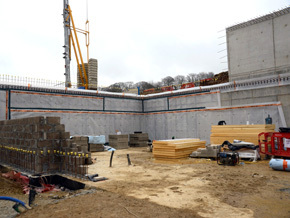 We were employed by CORMAC to amend the Architects design and install the structural water proofing.